Prepare for an all-new wave of Luchador enmascarado (masked wrestler) invasion as Mistico signs with WWE. 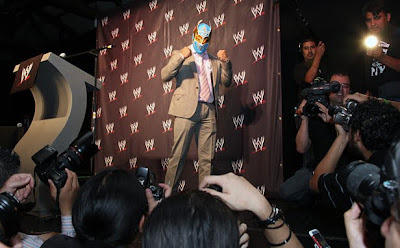 Unquestionably the biggest box office draw in all of Mexico and the main tecnico (face, or good guy for those unfamiliar with professional wrestling jargons) in Mexico's Consejo Mundial de Lucha Libre (CMLL) promotion, Mistico, has signed with WWE at a major press conference held by WWE in his hometown, Mexico City. 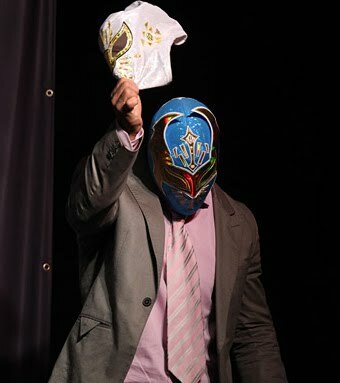 Renowned for his high-flying antics and in-ring abilities worldwide, Mistico has won numerous accolades in his young yet storied career, capturing multiple world titles and was voted "Wrestler of the Year", "Biggest Box Office Draw", and "Best Flying Wrestler" by Wrestling Observer in their 2006 "Year-End Awards". He was also ranked third in Pro Wrestling Illustrated's list of the top 500 wrestlers of 2007. 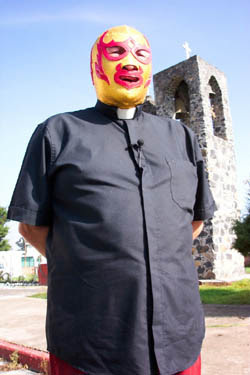 While the namesake, "Mistico", is Spanish for "Mystic", the much-lauded aerialist was known to be a religious character who is the storyline protégé of the world-famous wrestling priest Fray Tormenta, the inspiration behind Jack Black's 2006 comedy, Nacho Libre, and characters like the jaguar-masked King from Namco's Tekken series. Stephanie McMahon, the Executive Vice President of WWE said, "Sin Cara is a tremendous performer who brings the crowd to its feet every time he steps into the ring. With us, his stardom will only get bigger and brighter." 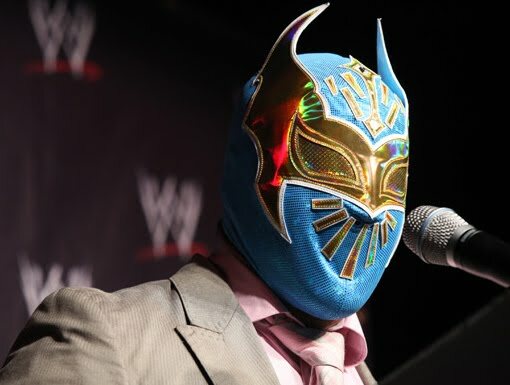 For the skeptics among you, you might just be thinking how big will Sin Cara's stardom get? Incidentally, we still remember Último Dragón's WWE run. 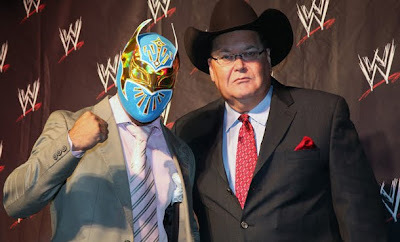 Will Sin Cara's push be similar to the current monster push behind latest Royal Rumble winner, Alberto Del Rio? 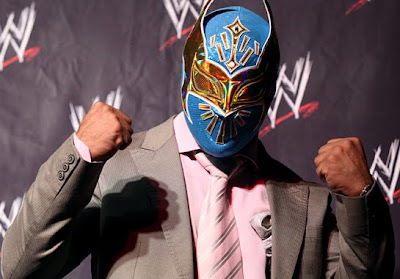 Will we get to see Sin Cara facing Rey Mysterio, now near the end of his incredible career, in a "Mask vs. Career" match at WrestleMania XXVIII next year, slated to be taking place in Miami, Florida, where a sizable crowd of Mexican awaits? Don't hold your breath on that. For those who are not familiar with Mistico, here's a video clip off your friendly neighborhood YouTube showcasing the top ten moves of Mistico. 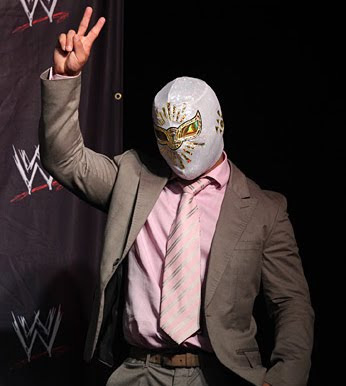 Here's a picture lifted from the net, supposedly depicting Mistico unmasked. More photos from the WWE signing. ... to a new one.